1. Remove protective lens cap from microscope before use. 2. Use the FOCUS WHEEL to adjust focus on the subject. 3. Use the Light control wheel to adjust the LED light brightness. 4. Use the SNAP BUTTON to capture snapshots by hardware; photo/video captured by software is discussed in its manual. 1. This Microscope is non-waterproof, so keep it dry. 2. Do not use it in humid place like bathrooms. A dry environment will extend its life. 3. Use this Microscope only at -5~50°C (-23~122°F). 4. Suddenly temperature change may form dew inside the Microscope, like entering a warm room in cold winter. 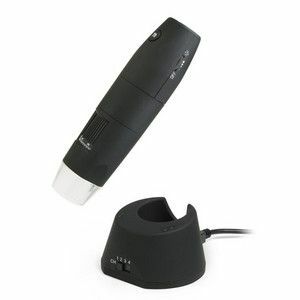 Put it inside a handbag or plastic bag to slow temperature changes. 5. Do not let the Microscope lens face the sun or strong light for a long time. Powerful light may hurt the light-sensitive electronics. 6. Avoid touching the lens. 7. The white LEDs which illuminate the Microscope target field are very bright. Do not stare directly into these LEDs because they may damage your eyes. 8. The clear plastic distance shell sometimes picks up dirt or toxic material from a microscopically observed surface. Be careful touching this to the human skin. Wash carefully or disinfect as needed. 9. Do not unplug the Microscope from USB port when LEDs are on. This may cause information loss or circuit damage. Please always close MicroCapture and then unplug the Microscope. User manual: A simple quick guide to know how to use this item. User CD image: It contains Driver, MicroCapture software for PC/Mac, User Manual. Same contents as the physical CD in box. Copyright © 2010-2019 Bonpal Technology Co., Ltd | All rights reserved.